Blog / Investment & Finance / Is Malta Safe to Invest In? According to the country's National Statistics Office, the Malta economy expanded by more than 3% in 2017. 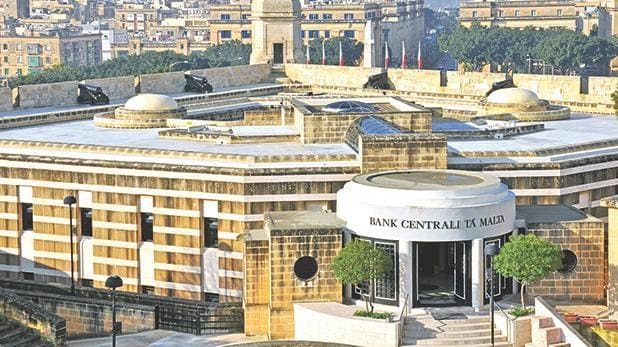 The European Commission is currently forecasting that the Maltese economy will expand by more than 5% in 2018, making it one of the top economies in the entire EU during this period. The economists and reporters of the "Global Wealth Migration Review" recently reported that Malta experienced the second largest wealth growth of any country in 2017, behind only India and tied with China. Every new high-net-worth individual (HNWI) that becomes a citizen of Malta via the I.I.P. will help grow the local economy. The nation's safe and stable economy is just one of the many reasons why the Malta Individual Investor Program is a secure and strategic investment. Also referred to as an economic citizenship or investor citizenship arrangement, citizenship by investment programs enable foreign nationals to obtain citizenship in a country provided they make a substantial fiscal contribution to that jurisdiction. Immigrant investor programs typically only offer investors residency in a country in exchange for a hefty monetary contribution, not citizenship, which is why citizenship investment programs are much more coveted by investors. Because a financial investment is a requisite of the Individual Investor Program, some people inadvertently think it is no different than a Malta passport for sale scheme; which is entirely false! Although some media publications periodically use terms such as "Maltese passport for sale" when discussing the island's citizenship programme, wealthy businessmen and businesswomen expecting to instantly buy Maltese citizenship are going to be disappointed because the IIP is not an EU passport for sale scheme it is a legitimate citizenship by investment program recognized by the European Commission. Not only can you not go out and buy a Maltese passport tomorrow, you cannot just instantly buy Malta citizenship outright; the Individual Investor Program requires applicants to establish residency on the islands and build a genuine link with the country. Truth be told, investor programs are not actually very different from other forms of skilled worker immigration as both types of programs have the simple goal of improving a country's society and economy. The fact is, global citizenship facilitates innovation across borders, and educated business leaders who are the primary demographic participating in citizenship by investment immigration bring tremendous value to the communities they join. The first stage of the Maltese Individual Investor Program is initial due diligence, during which IIP Malta Ltd. conducts a preliminary background verification on the main applicant and their family. As part of this process, the applicant must provide their personal details such as private address as well as profession and name of employer. The main applicant must also provide information about the number of residence cards he or she holds. All applicants need to provide a copy of their passport, and the main applicant must additionally hand over some basic bank account details such as the name of their bank, its address, and the SWIFT code. After the preliminary due diligence stage, a client service agreement and power of attorney document must be signed by the applicant as part of the preparation of a Malta resident permit application. There are also several government forms that must be completed including Form K and Form ID 1A for non-EU, EEA, or Swiss citizens. In addition to requiring a passport copy, the Maltese resident permit application requires the main applicant to provide a bank reference as well as bank statements from the last three months, a suitable certificate of global health insurance coverage, and a cover letter detailing their reasons for applying for a Malta passport. Spouses are required to present a copy of their passport, a marriage certificate, and a certificate of their health insurance policy with global coverage of at least 50,000 euros. Documents required for dependents include a passport copy, birth certificate, proof of sufficient international health insurance coverage, as well as evidence of financial dependency on the main applicant for dependents older than age 18. To learn more about the Malta Citizinship By Investment read more here.